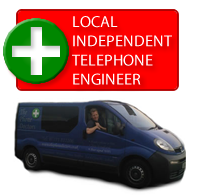 I am an independent cardiff telephone engineer covering areas including South Wales, West Wales and the West of England. The telephone engineer services I provide include finding & repairing faulty lines for both home and business, data extensions, socket & general rewiring, telephone extensions & much more. I can diagnose, repair or upgrade anything on your side of the network at a greatly reduced price also with a one years guarentee. If I prove the fault onto the external network there will be a call out fee, then we will contact your ISP for Openreach to come and repair it for you. If your provider says your line tests okay, but is still faulty call me I can help. If you require an extension to an out-building, shed, barn, storeroom or garage this can be done overhead. If you require an outside bell for noisy environments like forecourts or farmyards so you don’t miss that all important call. I can work on anything be it wires, sockets, external bells or extensions as long as it is past where the BT socket ends. This then becomes BT property, but I can still prove if they are at fault that way they cannot charge you when they arrive. 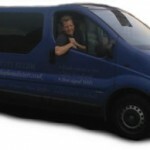 Call me first for a quicker, better and much cheaper option than your service provider, offering out of hours and weekend services. If the problem lies within the outside network this will be covered by Openreach free of charge. If the fault is deemed to be on your property when Openreach arrive you will be charged substantially. Sole trader. FSB Member. CRB checked. Newbridge and BT trained.